Photo: Ninara via Flickr under Creative Commons license. During the past decade, a significant boost was given to cooperation between Kazakhstan and the European Union (EU). In 2015, an Enhanced Partnership and Cooperation Agreement (EPCA) was signed in recognition of Kazakhstan’s progress and importance to Europe. This new generation agreement, which is being provisionally implemented pending ratification by a few EU member states, has brought relations between Brussels and Astana to a new level. The EPCA devotes considerable attention to democracy promotion and human rights, wrapped in slightly increased conditionality provisions. But the EPCA’s main focus is on trade: the new agreement eliminates several trade barriers and offers Kazakhstan a ‘most-favoured-nation’ status in terms of trade and business relations (Official Journal of the European Union, 4 February 2016). 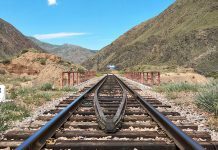 The new EU Strategy for Central Asia due to be launched in 2019 provides an opportunity for Kazakhstan (and other Central Asian states) to further cement its interest in cooperation with the EU. 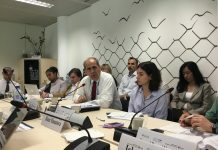 What are Kazakhstan’s main priorities in working with Europe? First, the EU could help reinvigorate Central Asian regional cooperation. Relations in Central Asia are a priority for Kazakhstan, as stated in its Foreign Policy Strategy (2014-2020), and the country seeks to lead regional political and economic development. The Central Asian Summit held in March 2018 in Astana is seen as a renewed effort to bring the region together. Recent positive developments in Uzbekistan are also likely to give bigger impetus to regional cooperation. 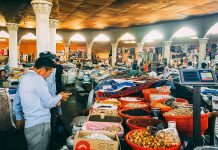 Even though so far changes are mostly limited to improved bilateral relations between Uzbekistan and each one of its neighbours, regional stability seems to be a priority for all of the region’s presidents. This leaves room for the EU to play a facilitating role in regional rapprochement. 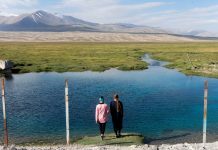 Capitalizing on its vast experience in regional cooperation and integration, the EU could spur Central Asian cooperation in key areas such as border and water management. In parallel, the EU also plays an important role for Kazakhstan as a counterweight and alternative to the vast traditional Russian influence and the quickly growing Chinese influence. In both aspects, the EU is regarded as a fairly neutral and trustworthy partner. Second, Europe is Kazakhstan’s top economic partner. The EU is the country’s leading investor, comprising about half of all foreign direct investments (FDI), and its main trade partner. However, there is still plenty of unexplored economic territory. For instance, Kazakhstan has recently created the financial hub Astana International Financial Centre (AIFC) (which has special legal status and operates under British common law) to attract investments. Ultimately, it is intended to become a financial driving force for Kazakhstan and the broader region: a project that Kazakhstan hopes the EU will buy into. 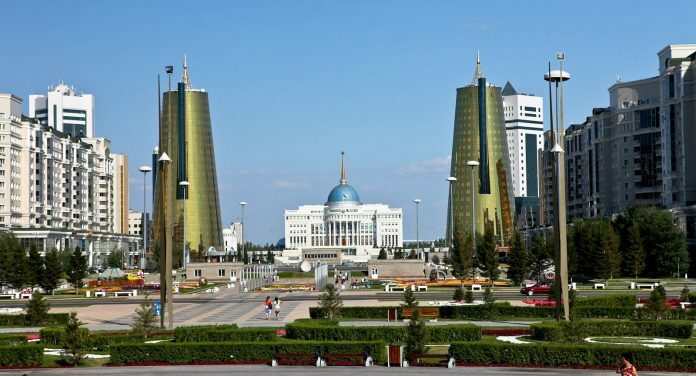 Kazakhstan is trying to diversify its economy through its ‘Modernization 3.0’ flagship project, which aims at developing more value-added industries, with a special focus on green energy, rather than just exporting oil and metals. In this sense, Kazakhstan is interested in technical cooperation with the EU. 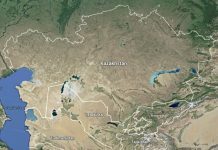 One EU initiative Kazakhstan could potentially benefit from is TAIEX (Technical Assistance and Information Exchange), aimed at fostering knowledge exchange and policy advice (see EUCAM Watch no. 23, February 2018). It is expected that Kazakhstan could self-finance its participation in these sort of programmes. Third, education has been highlighted by the Kazakh government as one of the key drivers of development. Kazakhstan ranked 56th out of 188 countries in the 2017 Human Development Index, positioning it amongst the ‘high human development’ countries. Initiatives promoted by President Nazarbayev in this regard include the creation of tri-lingual secondary schools, the Western-modelled Nazarbayev University and the ‘Bolashak’ presidential scholarship to provide study opportunities for young Kazakhstanis in top universities worldwide. However, most of these initiatives focus predominantly on natural sciences, technology, and civil service jobs, to the detriment of humanities, especially political science, public policy, and sociology, which are all important for greater civic engagement in Kazakhstan. 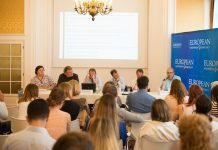 While Kazakhstan is part of the Erasmus+ programme, its impact so far has been limited, with only about 500 Kazakh students having participated to date: greater participation, especially in the social studies domain, would be welcome. The EU should expand its educational support by developing initiatives that include talented young Kazakhstanis from all social strata. Kazakhstan, in turn, given its experience in developing its own educational system and as a regional donor, could foster initiatives to attract European students to study in the country and act as a facilitator of regional education initiatives supported by the EU. Fourth, strengthening institutions through good governance and rule of law remains important for Kazakhstan. In a recent interview with BBC, Kazakhstan’s Senate Chairman Kassym-Jomart Tokayev indirectly indicated that President Nursultan Nazarbayev might not seek another term, opening the possibility for a power transition (BBC ‘HardTalk’, 20 June 2018) and making it all the more urgent to have better functioning institutions. Earlier constitutional amendments concerning the division of powers have had little impact on the power balance, which is still very much concentrated in the presidency. Kazakhstan’s membership in the Russia-led Eurasian Economic Union (EEU) and its participation in China’s Silk Road Economic Belt (SREB) are also reasons for strengthening good governance and the rule of law. 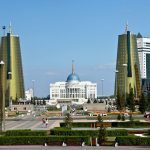 As a ‘small’ country, Kazakhstan needs better functioning institutions in order to better defend its interests and maximize its benefits within these economic-driven initiatives. 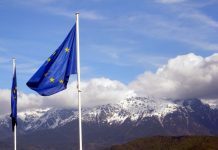 As an upper-middle income country, Kazakhstan is no longer eligible to receive EU funding under the current 2014-20 Development Cooperation Instrument (DCI), and can only attract EU regional funding packages for Central Asia. While Kazakhstan does participate in the EU’s regional Rule of Law initiative, more bilateral involvement and support to assist with reforms would be important. Looking forward to 2021, Kazakhstan should be able to qualify to receive institutional reform support under the new Neighbourhood, Development and International Cooperation Instrument that is foreseen to replace all EU funding instruments. In sum, it is in Kazakhstan’s interest to work with the EU, both bilaterally via the EPCA and regionally via a new 2019 EU-Central Asia Strategy. The EU can be a valuable partner by facilitating regional cooperation, but also as an alternative to considerable Russian and Chinese influence. While Kazakhstan’s biggest bilateral interest lies in European investments and trade, technical cooperation, education and support for institutional development are also of importance to Astana. All of these Kazakh interests – but especially trade relations and having the EU as an alternative to regional hegemons – are of course mirrored by the EU’s interest in expanding trade and playing a stabilising role in Central Asia. Perhaps more significantly, they give the EU some leverage to successfully pursue an active democratic and economic reform agenda in Kazakhstan. An independent researcher from Kazakhstan. 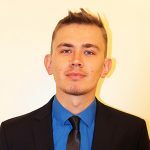 Most of his career so far has been connected to the OSCE broader network: Sergey graduated from the OSCE Academy in Bishkek with a Master’s degree in Politics and Security in Central Asia. He worked with OSCE/ODIHR Election Observation missions in Kazakhstan. He was also a Research Fellow at the OSCE Parliamentary Assembly’s Secretariat in Copenhagen working on election observation and human rights issues in Central Asia and Eastern Partnership countries. Prior to that, Sergey worked for Kazakhstan’s Human Rights Commissioner’s Office as a consultant on National Preventive Mechanism (NPM) dealing with problems of ill-treatment and torture.